A study led by Ravi Bansal, PhD, and Bradley S. Peterson, MD, of The Saban Research Institute of Children's Hospital Los Angeles, has found structural differences in the cerebral cortex of patients with depression and that these differences normalize with appropriate medication. The study, published in Molecular Psychiatry on March 7, is the first to report within the context of a randomized, controlled trial, the presence of structural changes in the cerebral cortex during medication treatment for depression and the first to provide in vivo evidence for the presence of anatomical neuroplasticity in human brain. "Our findings suggest that thickening of the cerebral cortex is a compensatory, neuroplastic response that helps to reduce the severity of depressive symptoms," said Peterson, director of the Institute of the Developing Mind at CHLA and professor of pediatrics and psychiatry at the Keck School of Medicine of the University of Southern California. "Patients off medication have a thickened cortex, and the thicker it is, the fewer the symptoms they have. Treatment with medication then reduces the severity of symptoms, which in turn reduces the need for biological compensation in the brain -- so that their cortex becomes thinner, reaching thickness values similar to those in healthy volunteers." "Although this study was conducted in adults, the methodology developed -- pairing a randomized controlled trial with MRI scanning -- can be applied to many other populations in both children and adults," said Bansal. "Also, our observations of neuroplasticity suggest new biological targets for treatment of persons with neuropsychiatric disorders." Advanced technologies provide researchers with new insights into the warning signs for cardiovascular disease. After all the lifting, hauling and wrapping, worn out gift givers may blame the season's physical strain for any shoulder soreness they are feeling. It turns out there could be another reason. A new study led by investigators at the University of Utah School of Medicine finds that individuals with symptoms that put them at increased risk for heart disease could be more likely to have shoulder problems, including joint pain and rotator cuff injury. "If someone has rotator cuff problems, it could be a sign that there is something else going on. They may need to manage risk factors for heart disease," says the study's lead author Kurt Hegmann, M.D., M.P.H., Professor of Family and Preventive Medicine and Director of the Rocky Mountain Center for Occupational and Environmental Health. The research was published in the Journal of Occupational and Environmental Medicine. Repeated physical stress is most frequently blamed for aggravating shoulder joints and the muscles and tendons that surround them. Think about a pitcher who throws a baseball 100 times a day. While physical exertion can certainly be an irritant, accumulating evidence points other factors that could also be at play. Previous research found that people who had an increased risk for heart disease also had a tendency toward carpal tunnel syndrome, Achilles tendinitis, and tennis elbow, all musculoskeletal disorders. The current study by Hegmann and colleagues adds shoulder problems to the list and takes the connection one step further. The more heart disease risk factors that each of the study participants had racked up -- including high blood pressure, high cholesterol, diabetes -- the more likely they were to have had shoulder trouble. 36 participants with the most severe collection of risk factors were 4.6 times more likely than those with none of the risk factors to have had shoulder joint pain. They were also nearly six times more likely to have had a second shoulder condition, rotator cuff tendinopathy. Participants with mid-level heart risk were less likely to have had either shoulder condition, at 1.5 to 3-fold. Shared trends bolster that there could be a relationship between heart risk and shoulder problems, but researchers will need to follow up with a prospective study to prove cause and effect. It may seem like physical strain would be at least just as likely to cause shoulder pain but data from the 1,226 skilled laborers who took part in the study suggest otherwise. Ergonomists carefully monitored airbag manufacturers, meat, processors, cabinet makers and skilled laborers. Every forceful twist, push, and pull was factored into a strain index assigned to each worker. But a more straining job did not translate to an uptick in shoulder difficulties. Nor did more time spent doing other physical activities. "What we think we are seeing is that high force can accelerate rotator cuff issues but is not the primary driver," says Hegmann. "Cardiovascular disease risk factors could be more important than job factors for incurring these types of problems." He says it's possible that controlling blood pressure and other heart risk factors could alleviate shoulder discomfort, too. Human life spans may be limited to a maximum of about 115 years, claim US scientists. Their conclusions, published in the journal Nature, were made by analysing decades of data on human longevity. They said a rare few may live longer, but the odds were so poor you'd have to scour 10,000 planet Earths to find just one 125-year-old. But while some scientists have praised the study, others have labelled it a dismal travesty. 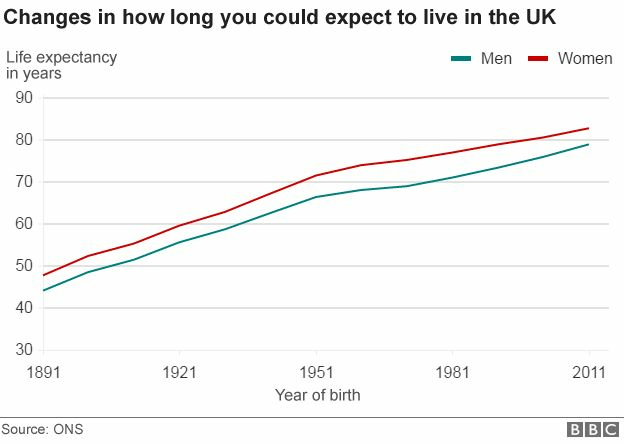 Life expectancy has been increasing relentlessly since the nineteenth century - due to vaccines, safer childbirth and tackling killers like cancer and heart disease. But can that go on forever? The team in New York analysed data from the Human Mortality Database and the deaths of super-centenarians (those over 110) in France, Japan, UK and US. The data showed increases in life expectancy were slowing in centenarians and that the maximum age of death had plateaued for at least two decades. Prof Jan Vijg, one of the researchers from the Albert Einstein College of Medicine, told the BBC News website: "In people over 105 we make very little progress, that tells you we are most likely approaching the limit to human life. 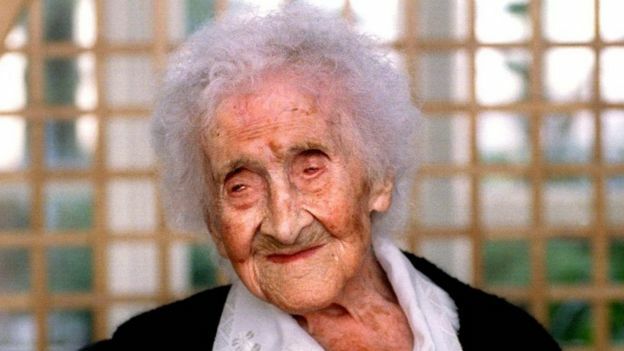 Jeanne Calment came close. The oldest ever person, whose age can be backed up by official documents, was 122 when she died in 1997. The French icon of longevity was born before the Eiffel Tower was constructed and met the painter Vincent van Gogh. Nobody has since got near her venerable age. Prof Dame Linda Partridge, the director of the UCL Institute of Healthy Ageing, said a limit to lifespans "logically has to exist". But she told the BBC: "Although this really interesting paper describes what is happening, it doesn't describe what will happen." The crop of centenarians in the study were affected by malnutrition and infectious diseases in their childhood back in the late 19th Century. Remember smallpox was declared eradicated only in 1980. "It was certainly very different to what the current birth cohort will go through, but it could yet be rather negative as a lot of children have grown up obese and that could bring lifespan down quite a lot," Prof Partridge added. The 115-year claim is too much for Prof James Vaupel, the director of the Max Planck Institute for Demographic Research. He described the study as a dismal travesty and said scientists had in the past claimed the limit was 65, 85 and 105 only to be proven wrong over and over again. He said: "In this sorry saga, those convinced that there are looming limits did not apply demography and statistics to test hypotheses about lifespan limits—instead they exploited rhetoric, deficient methods and pretty graphics to attempt to prove their gut feelings. "[This study] adds nothing to scientific knowledge about how long we will live." Experiments, which look after animals in ideal conditions, have suggested lifespans do have a limit. Prof Jay Olshansky, from the University of Illinois, said mice tend to live for about 1,000 days, dogs for about 5,000 days and "humanity is approaching a natural limit to life". The challenge with tackling ageing is that we have not evolved to live to extreme old ages. Millions of years of natural selection has honed us to survive, grow and reproduce in our youth. What happens to our bodies half a century or more later - at ages we have never reached in our evolutionary history - are a side-effect of the instructions in our DNA that are important in youth. So any attempt to really increase lifespan will need an approach that goes beyond treating diseases and tackles ageing inside every cell of the body. Prof Jan Vijg added: "To get maximum life spans of 120, 125 or 130 maybe, we need to do something very fundamental here. "We need to change the whole genetic make-up of the human species, you would have to develop thousands or tens of thousands of different drugs. "The ageing process is so complicated that it will not be possible to substantially change this limit to human life." The thread could be sewn into organs, wounds or orthopedic implants. BOSTON, July 18 (UPI) -- The next time you have surgery, you may get sewn up with "smart" stitches. Researchers at Tufts University have developed a new type of surgical thread capable of gathering diagnostic data and communicating it wirelessly in real time. The development process allows scientists to integrate nano-scale sensors, electronics and microfluidics into a range of thread types -- something as basic as cotton or as complex as synthetics. Once dipped in a series of sensory chemicals, the threads can measure the pressure, stress, strain and temperature inside a region of tissue. The smart threads can also measure pH and glucose levels. Such data can help doctors keep tabs on the healing process and alert caretakers to the early signs of infection. The thread could be sewn into organs, wounds or orthopedic implants. The thread has yet to be tested in human patients, but it has revealed its potential in lab rats and test tube experiments. Still, more research is needed to ensure the threads' biocompatibility. "The ability to suture a thread-based diagnostic device intimately in a tissue or organ environment in three dimensions adds a unique feature that is not available with other flexible diagnostic platforms," researcher Sameer Sonkusale, director of the interdisciplinary Nano Lab at Tufts' School of Engineering, said in a news release. "We think thread-based devices could potentially be used as smart sutures for surgical implants, smart bandages to monitor wound healing, or integrated with textile or fabric as personalized health monitors and point-of-care diagnostics." Researchers detailed their diagnostic thread technology in a new paper published this week in the journal Microsystems and Nanoengineering. New York: Scientists have discovered three subtypes of type 2 diabetes after analysing more than 11,000 patient records and identifying common genetic variants among them.